It’s finally here!! 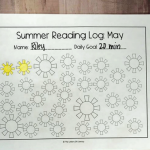 Summer has arrived, and we are having a blast with alllll the summer things. 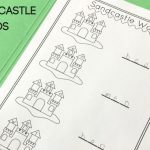 We aren’t able to take our usual beach vacation this year, so I’m trying to bring the beach home instead with this Seashell Sensory Bins Printable Activity! 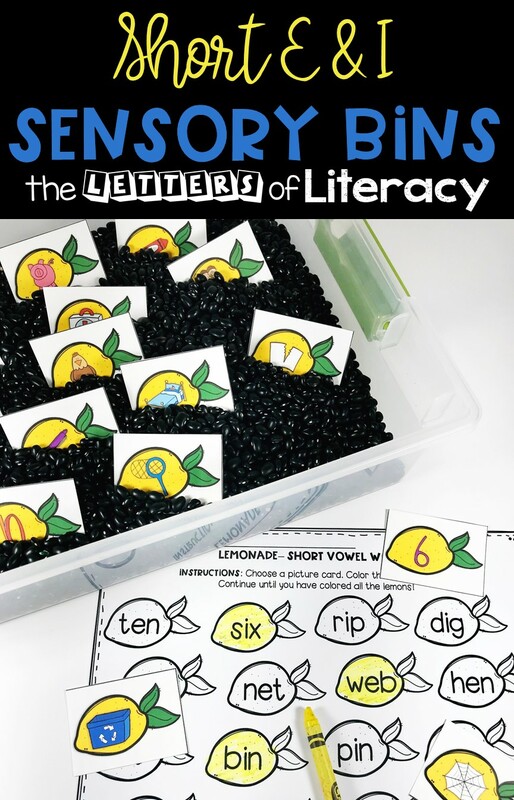 Using sensory bins to build on literacy skills is the perfect summer activity! 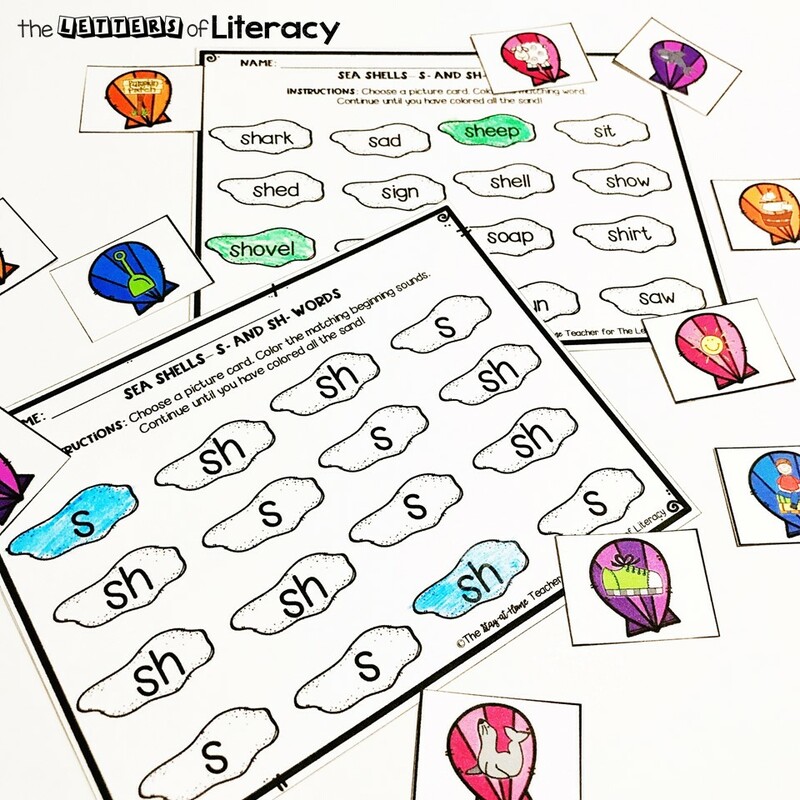 *Pair this with our Kindergarten Summer Homework to keep little minds ready for school! I know what you’re probably thinking – RICE?! Are we really going there?! And YES! We are! But not without extra measures to help keep our sanity, promise! 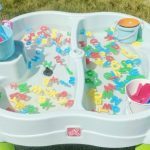 When we use sensory bins that are a little extra messy, the first thing I try to do is take them outside. 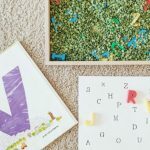 This is the easiest way to allow your kiddos freedom with their bins without stressing about the mess they will probably make. We like to go outside and set up our bin at a picnic table, or lay out a blanket and have a sensory bin picnic. Both of these options help us get outside for some good sun. If the weather is rainy or too hot, we use a plastic table cloth spread out on the floor. Most of the time, I can use this cloth to pour the rogue bits back into the bin. But in cases like this rice, sometimes is easier to just take the cloth outside and shake it out. Either way, these bright seashell pieces look SO fun in rice because it looks so similar to sand. It will be inviting for your little one! By this time of the year, review is super necessary. 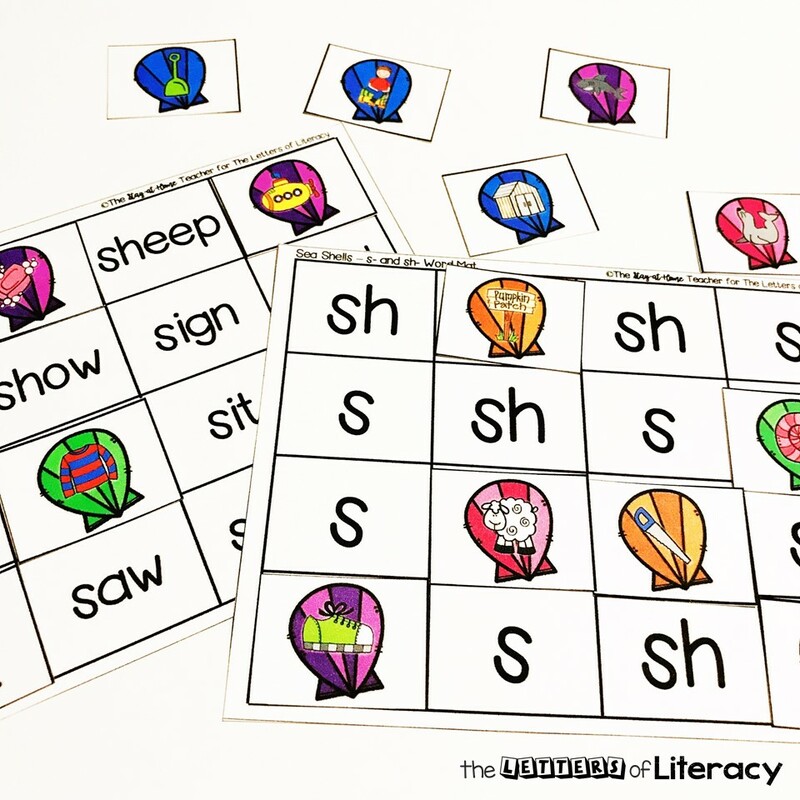 One skill that is always a little tricky is “s” versus “sh” sounds. Using seashells just fits perfectly! 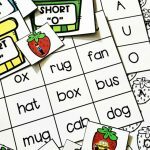 Match pictures to the correct beginning sounds. Match to the correct words. 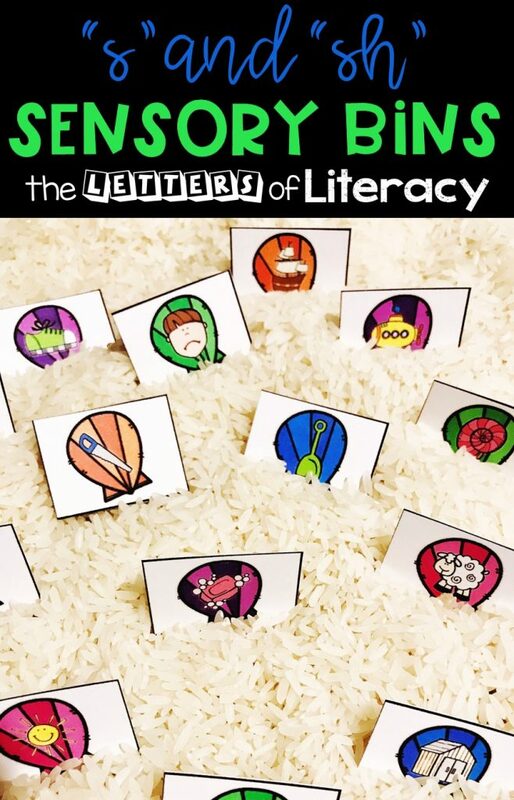 Sort using the sorting titles. 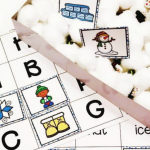 I hope that this sensory bin finds you enjoying your summer or approaching it soon! 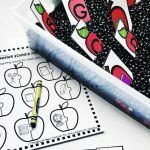 If you’re ready to grab our FREE Seashell Sensory Bins Printables then click the large, blue button below! 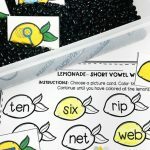 Then, hop on over and check out our Lemonade Sensory Bins and Printables!